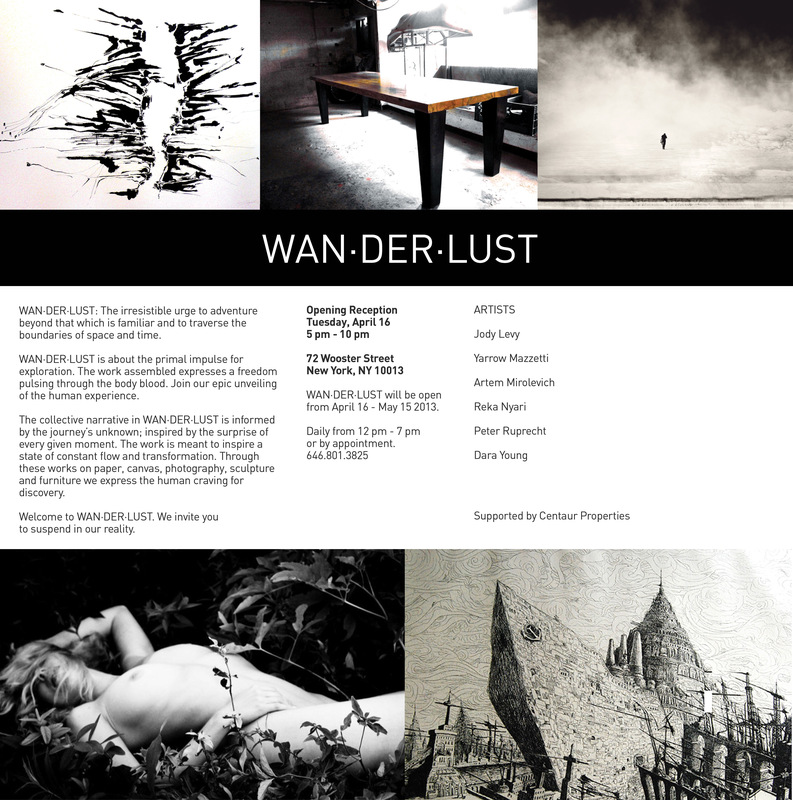 Join us for the opening premier of WAN·DER·LUST a group exhibition of fine art, experimental photography, one-of-a-kind furniture, installations and more. Exhibition runs from April 16 – May 15, 2013. Come suspend in our reality!